I knew I’d hardly wear make up and I only ended up doing so in the evenings but I also knew I needed the essentials in a very convenient form. The stars of this bag? My pencils. I. AM. OBSESSED. You know I love colour and for me it made total sense to bring make up that serve multiple purposes. My favourite of the bunch has to be Maybelline’s Color Drama pencils. I brought three with me: orange, red and hot pink. 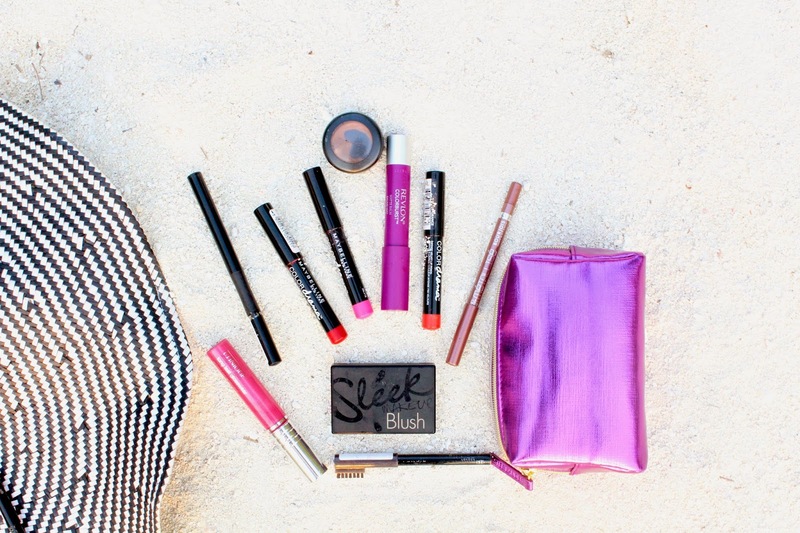 I also brought along my recently reviewed fave Revlon’s Shameless for a purple. What’s great about all of these is I use them as lipstick, blush and thick eyeliner/eyeshadow. The only thing I forgot was my waterproof mascara (oops) but I managed without it. 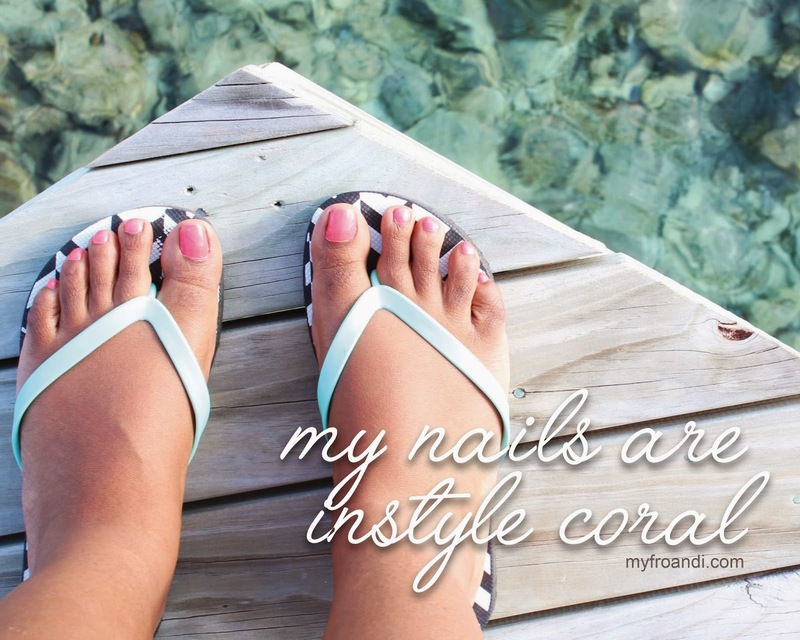 I had painted my nails before I left with Rimmel’s InStyle Coral. Loved it! Plus of course my basic beauty essentials which I decanted into those airport friendly mini bottles: facial wipes – to remove make up and prep for bed, facial wash, face lotion, body lotion, Vaseline – no crackly lips on this trip, and the all-important yet easily forgotten sun block. Don’t forget your hat! Not only is it a great fashion statement but it helps protect your precious skin and hair from the harsh sun. 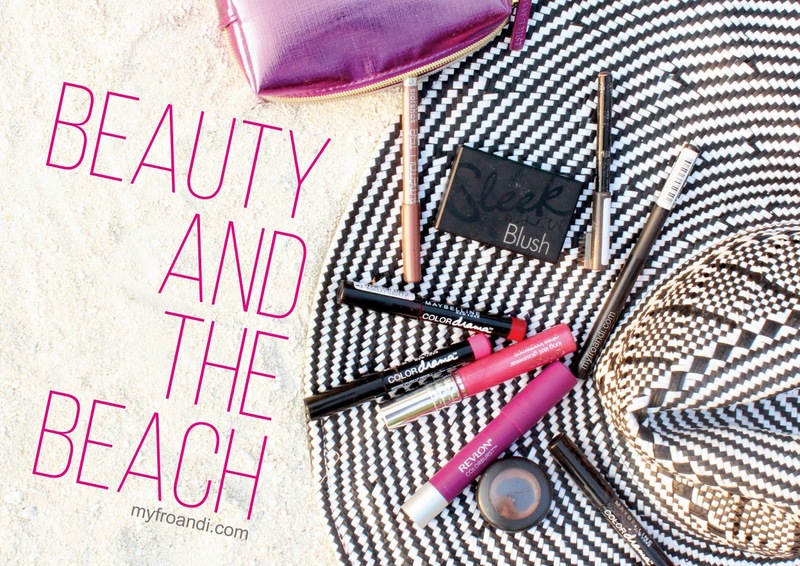 What are your must-haves in your beach beauty bag? Previous Post Rock Your High Bun! OMG! 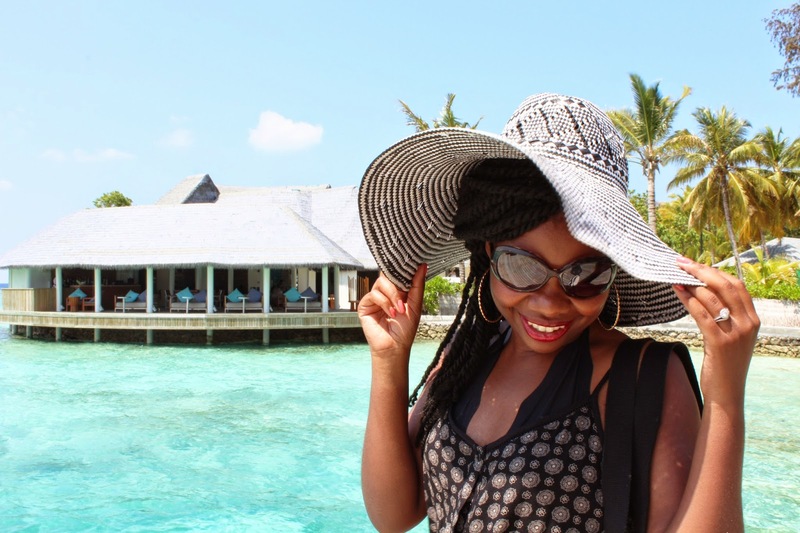 Did you honeymoon in Bora Bora, I might be mistaken but those huts look very familiar. Lovely post! Hope you had a great time…..
– Sunglasses are my first to go! 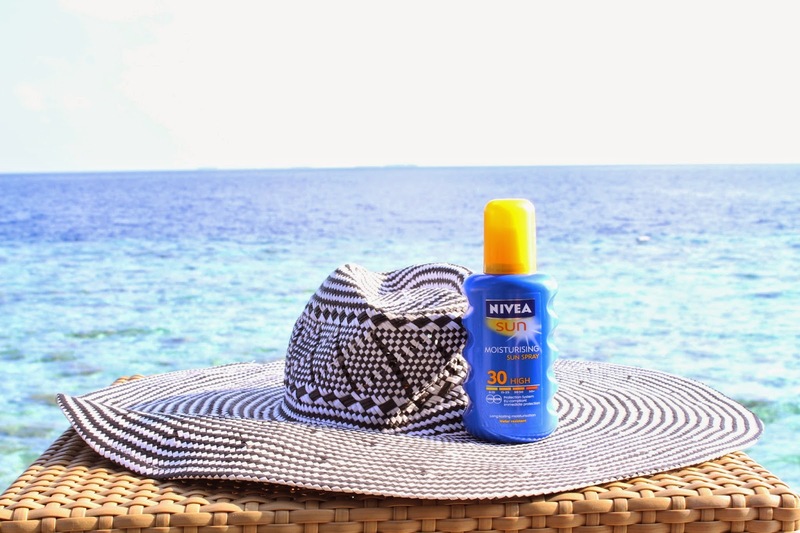 hat, Lip balm, sun skin protection cream ! ofcz a piece of big colorful scarf! Yup I brought about 2 pairs of shades in case one broke and of course my Vaseline was a MUST!